If you merged the Soviet Union under Stalin with an ancient Chinese Empire, mixed in The Truman Show and then made the whole thing Holocaust-esque, you have modern day North Korea. The realities of day-to-day life in this country are even stranger; this is a nation in which the populate venerate their leaders as if they had mystical powers, where adults must wear lapel pins of Kim Il-sung, and where a cloth is given to each household for one purpose: to clean the portrait of their Great Leader. The regime impacts upon every aspect of both public and private life, and instigates all sorts of beliefs among ordinary people, many of them lies. The question is, why is this country so odd? 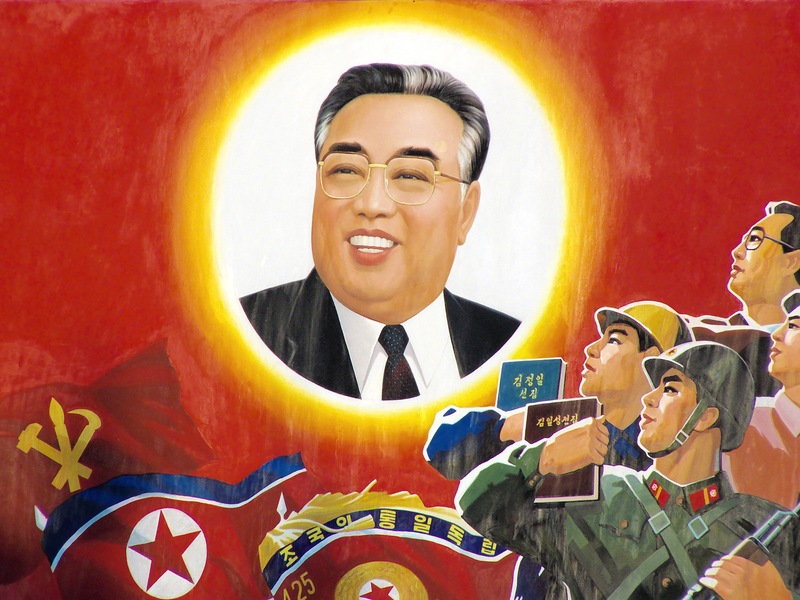 First of all, the philosophical foundation of the North Korean State differs from that of the Soviet Union and many Soviet-aligned nations; the Juche idea, a concept devised by Kim Il-sung, is centred around the emancipation of the individual. This tenant, which is essentially an ultra-humanistic interpretation of Marxism, seems to clash with the structuralist interpretations of the philosophy and the community-centric, macroscopic lens through which Marxists often make sense of the world. It has also led to cultural perversions in the DPRK, such as the hardline nationalist and isolationist current that is strong in the country. In short, when looking at why North Korea has taken a steep trajectory in its own, bizarre direction, Juche may be able to explain a lot. However, it is important to take into account the attitudes of the leaders themselves, and especially those of Kim Il-sung, who ruled the country from its birth right up until the 1990s. Perhaps the reason his country is structured this way today is less a result of his theories, and more of his pragmatic actions and contributions whilst in power. Following in his wake, his son and grandson will likely perform/have performed in a similar fashion, keeping the structure of the country intact. Though to what extent a nation can be shaped purely by who is in charge is debatable. The ideas and theories of individuals certainly play a large role in how political systems are crafted, especially in countries where such a large degree of responsibility rests on the shoulders of individuals, but this certainly does not mean that the significance material conditions inside that country should be overlooked in favour of individual ideas and actions. In the USSR, for example, Leninist theory provided the theoretical basis for the political system, yet I do not believe that the attitudes of individual Soviet citizens can be attributed to his personal views than the reality of Soviet life. Additionally, an important factor that must also be considered is cultural heritage, and we must examine the people in the region, their culture and their tendencies. Much of what we see in the DPRK can also be seen across the region, and throughout different periods of history. The complete veneration of an individual and a strong, patriotic desire to serve one’s country, for example, can both be exemplified in the former Japanese Empire. Thus, it would also be sensible to argue that the reason why North Korea is so starkly different from many of the other communist states is due to the cultural tendencies of those living there. This would perhaps be able to explain why many of these traditions and ideas held by many North Koreans are not only very strange, but also incredibly reactionary, un-progressive and counter-revolutionary as well. Considering North Korea proclaims itself to be a modern example of revolutionary socialism, and is heralded as such by many self-proclaimed revolutionaries, it clings strongly to ideas and tendencies you may expect such a country to reject, but perhaps cultural baggage plays a greater role than a commitment to the international socialist cause. At the end of the day, it is obviously futile to try and pinpoint any individual factor as to why this is such a bizarre nation, and it’s likely a combination of all of the above, alongside others. Take this post as a suggestion, however; a brief insight into the ‘Land of the Morning Calm’ why it’s driven by such an unusual ideological dialogue, and why it differs so significantly from the other socialist states of the twentieth century. ‘The overwhelming majority of states that were Communist as recently as the late 1980s have moved on. While, formerly, five communist states remain, the two successful ones (China and Vietnam) are so largely because they have jettisoned many of the original basic tenants of communism and are in some important areas – notably the economy – already post-communist’. First published in 2009, such a view presented in Holmes’ book is already proving to be especially discerning. Only in late 2014 did the USA and Cuba set aside their long-enduring hostility towards one another, an action which, as I’ve earlier said, I believe will mark the start of socialism’s decline in the Caribbean. Arguably, with China and Vietnam already long gone, this leaves just one state that exists according to strictly socialist principles; North Korea, or officially the Democratic People’s Republic of Korea (DPRK). Ironically, what could be perceived to be the last untarnished communist regime has formally abandoned communist philosophy, a political step on the road to capitalism which the other four countries have yet to take, with their constitution of 2009 describing their country as one ‘guided in its activities by the Juche idea and the Songun idea’. However, Juche, the school of thought based upon ideas of self-sufficiency, and Songun, the national policy of ‘military first’, contribute little in the way of altering the country’s strictly-centralised economy. From the outside, it would appear that the economic situation has persisted without interruption, leaving a country with an equally ‘communistic’ system to the other four, and even more so today, with the relaxations in policy within China or Vietnam. But is all this about to change? A surprising event in recent news may indicate exactly that, depending on what angle you look at it; North Korea is currently experiencing a nationwide property boom, a concept we’d associate with the capitalist west. In itself, this may not provide a strong enough argument to suggest a foreshadowing of the regime’s collapse, but an article published in the South Korean newspaper ‘The Hankyoreh’ explains how this may be the case. The author references research professor Jung Eun-yi, a leading expert in the field, who ‘argues that there are signs that the housing market in North Korea is turning into a real estate market, rather like South Korea’. As I’ve said, it’s still only a minor alteration, yet change has to begin somewhere, and it isn’t always as dramatic as the Romanian Revolution of 1989, or even the lifting of the trade embargo against Cuba by the USA. Furthermore, it shouldn’t be underestimated how provocative such a change could be; the article explains how Jung believes this style of market ‘will continue to expand for a significant period of time’, allowing it time to seriously transform the nationwide economy, paving the way for further relaxations on the road to a free market. In short, we learn that Jung thinks 2013’s establishment of the housing delegation offices proves that ‘both central planning and market forces are at work in the North Korean economy today.’, and that, in her opinion, the incorporation of the latter alongside the former into the market also provides evidence for a reformist trend developing under Kim Jong-un’s government; she informs us that ‘the regime is going beyond the military-first policy known as Songun that was instituted by Kim’s father and moving down the path toward socialist capitalism’. The timing certainly seems right, with the DPRK standing as the last of its kind, and I believe this is exactly the kind of trigger such transition requires. Once more opportunities arise for personal financial gain, enabling the individual, rather than the state, to profit, the iron grip the government maintains over the economy will begin to loosen; like the other socialist states whose colours have somehow clung to the mast after the dissolution of the Soviet Union and the fall of the Berlin Wall, the DPRK’s regime shall eventually crumble. One question, however, remains unanswered: is the fall of Korean communism to be rejoiced or lamented? There’s obviously no one answer, and it depends not only on your attitude towards communism on the whole, but also towards the North Korean regime. I can’t imagine many conservatives, liberals, or even socialists saddened at the prospect. A dispute could arise among the far left, however, and opinions on North Korea vary from a communist perspective. Personally, I’d definitely support the ousting of the current leadership, which operates as an absolute monarchy, enjoys luxurious privileges unheard of by the workers it claims to represent, looks to the leader like a prophet, Kim Il-sung like a God, and all in a perverted fashion which contradicts multiple tenants of Marxism. As for the loss of a communist system in the economic sense, I feel much the same as I did for the potential loss of Cuba’s. Yet it doesn’t take an expert to realise that the North Korean system is already flawed, given the famine it produces, the corruption it’s tainted by, and the seemingly endless funding it directs towards the military at the expense of the populace. In fact, if you take all its flaws into consideration, it would even seem sensible to argue that North Korea’s economy has already strayed too far from the communist model it was built upon. The image depicting the current communist states was provided by Ichwan Palongengi from Wikimedia Commons, and was also licenced under the above. 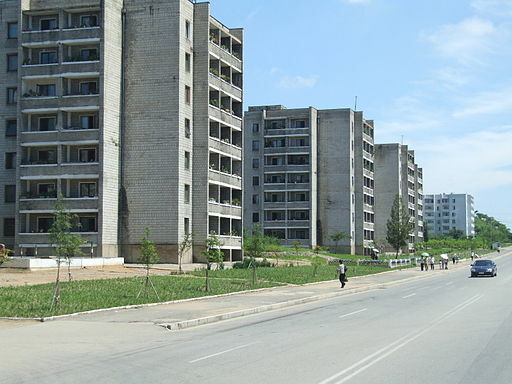 The image depicting the apartments in North Korea was provided by Nicor from Wikimedia Commons, and was also licenced under the above.